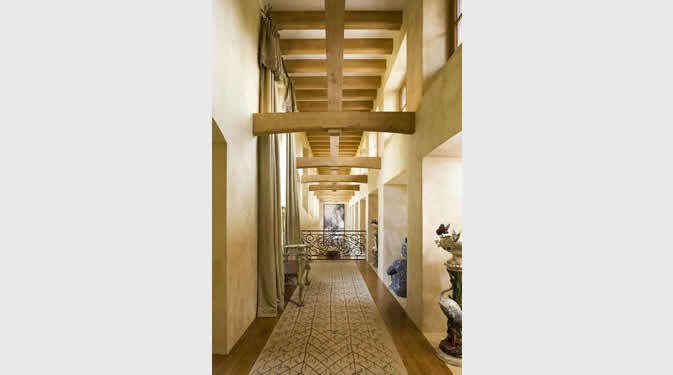 Envisioned by Shope Reno Wharton Architects for a family home in Aspen, the great room shed style roof is anchored by Tetraleaf Arches: Glulams that have been shaped and curved, then veneered with White oak sawn veneers with a wire brush texture. Asymmetrical in application, resting on stone plinths on one side and white oak columns on opposite, the series of double arches lift the eye upward. Hidden fastenings allow the strength of the wood to reign. 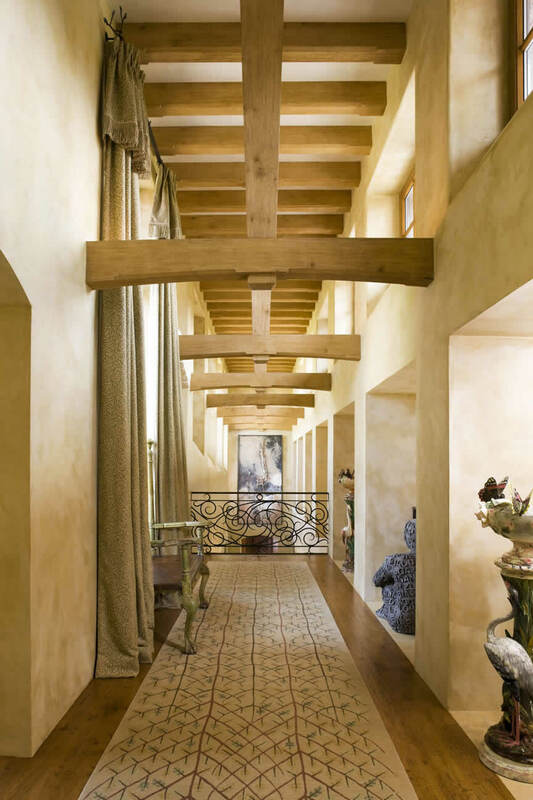 The great room is overlooked by an upper gallery with a series of king post and beam trusses which present a soothing, almost monastery-like peacefulness. To provide the nearly clear white oak, a veneer grade oak log was purchased in the east and sliced into 1/16” veneers at Idaho Veneer. Gluing and texturing a sliced veneer requires the fine hand of a true craftsman.